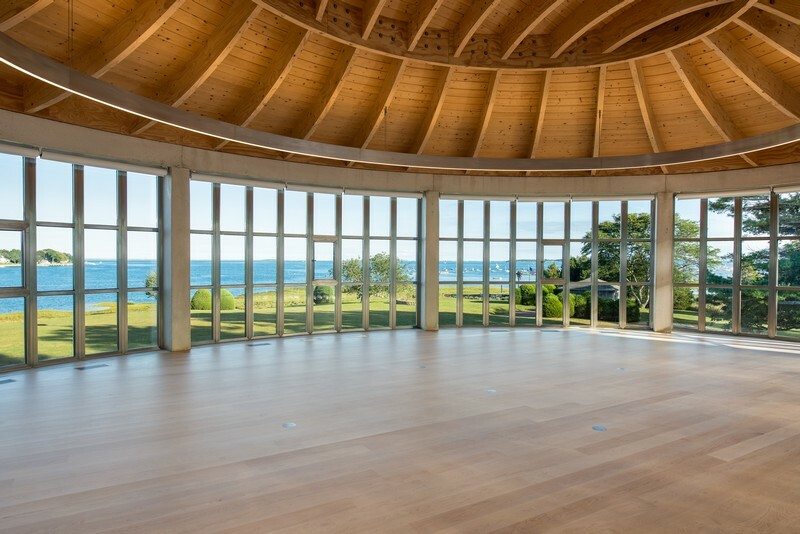 Duxbury Studio | C.H. 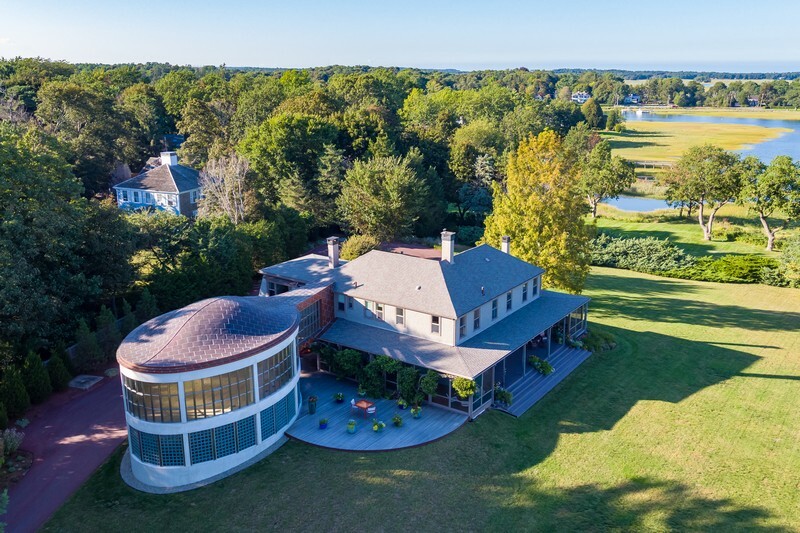 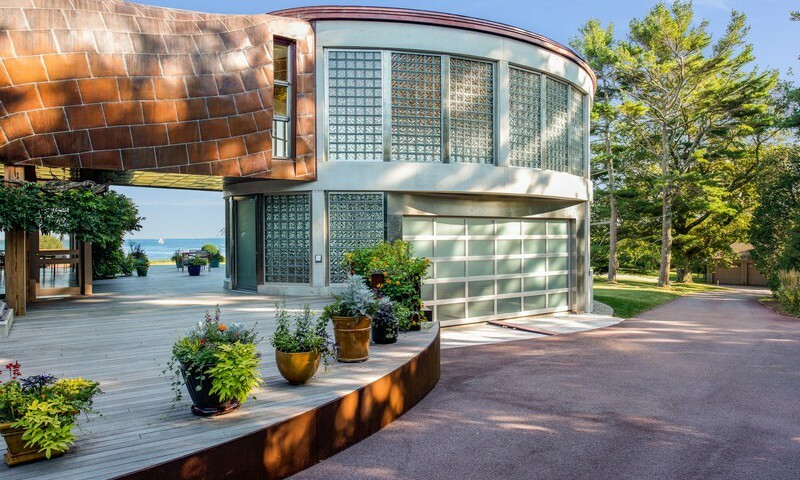 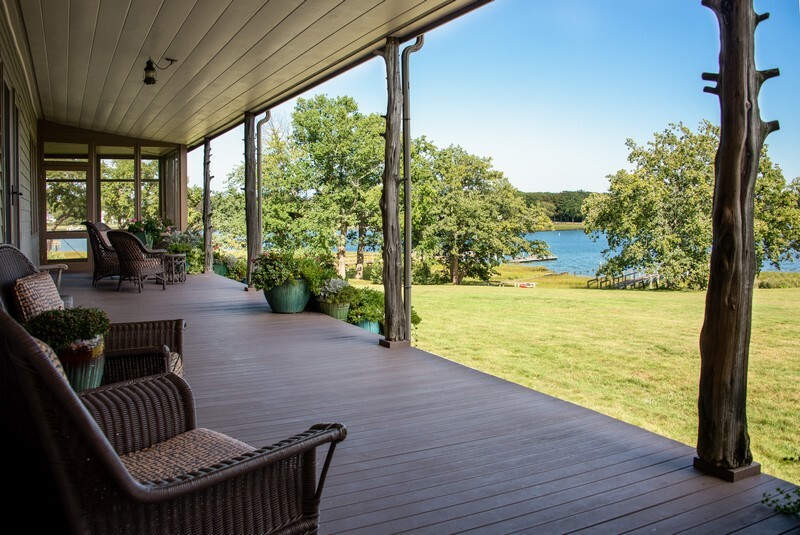 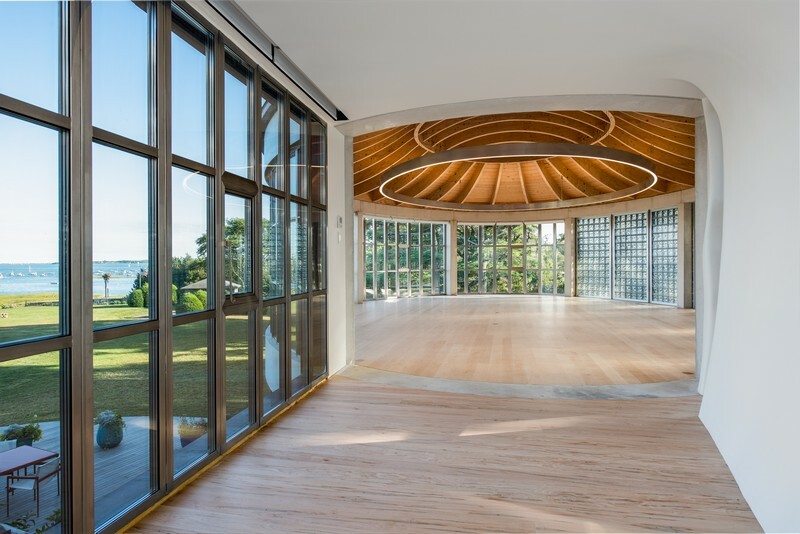 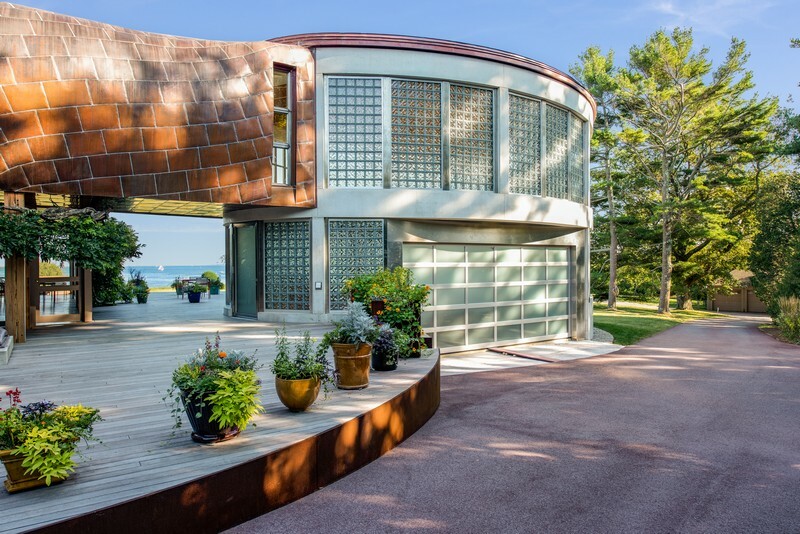 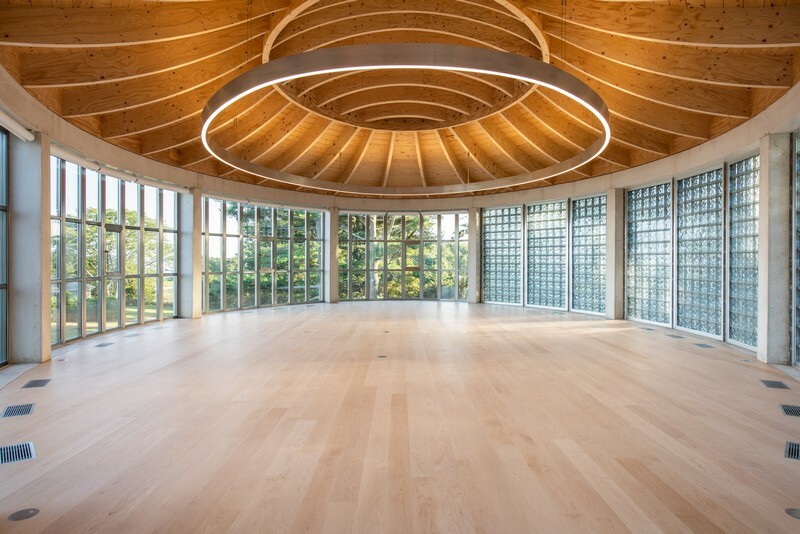 Newton Builders, Inc.
Conceptualized as a painter’s studio and inspired by Bramante’s Tempietto, the two-story elliptical structure is cast-in-place white concrete with Italian-made stainless steel windows capped with a copper-clad torqued-elliptical roof. 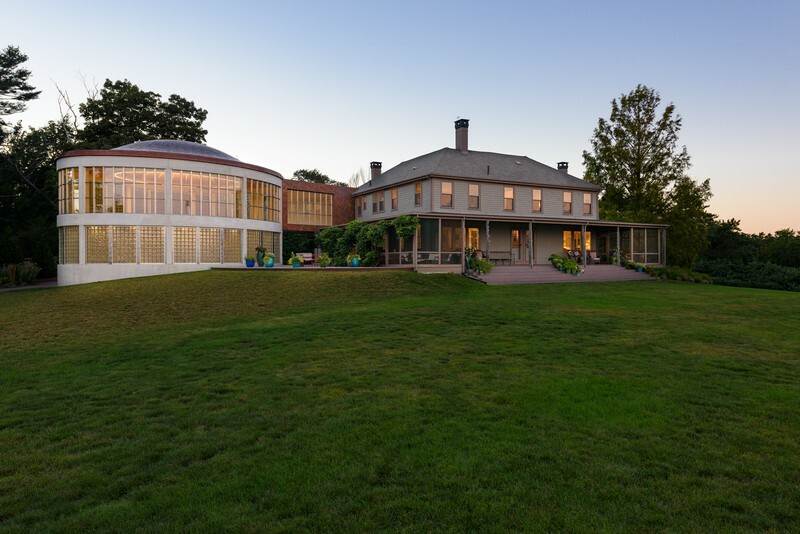 The Studio is flooded with 360 degrees of natural light and integrates with its 18th-century farm house via a bridge whose form is reminiscent of the filled sails of passing sloops on the Duxbury harbor.